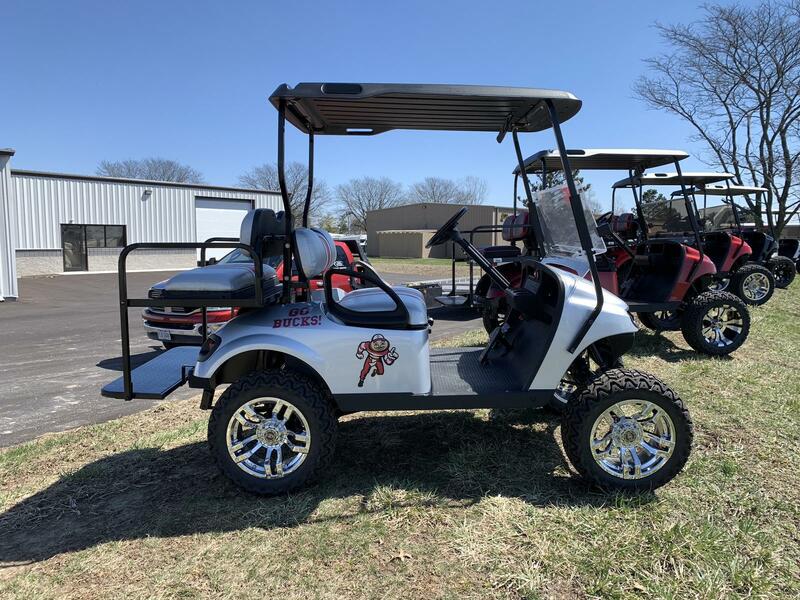 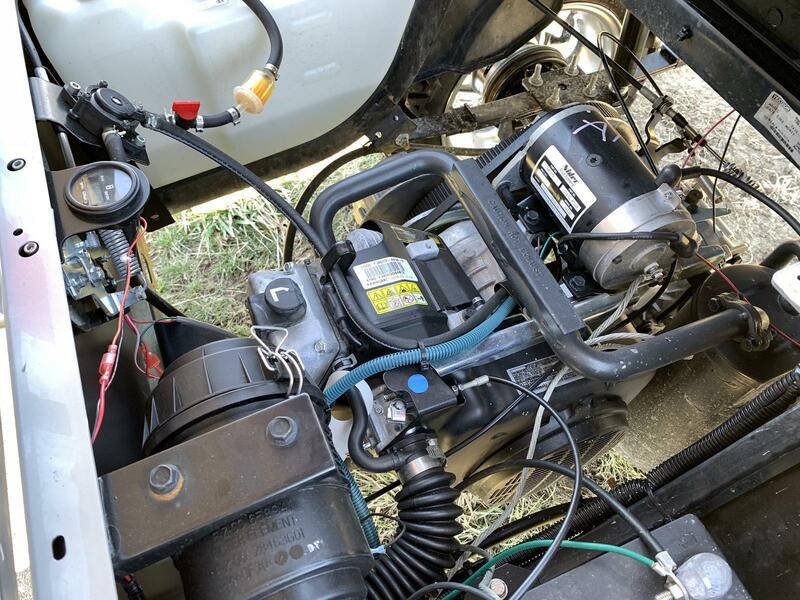 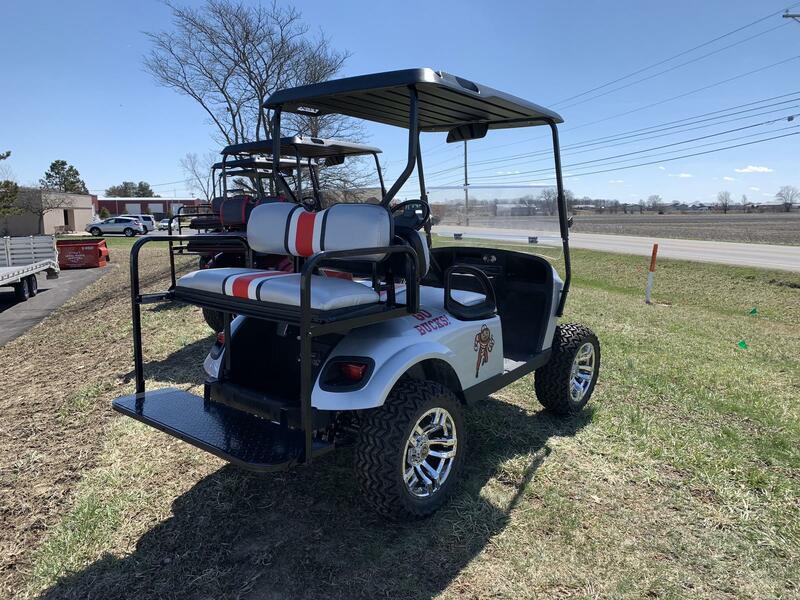 2011 E-Z-GO TXT GAS CONVERSION 4 PASSENGER GOLF CAR. 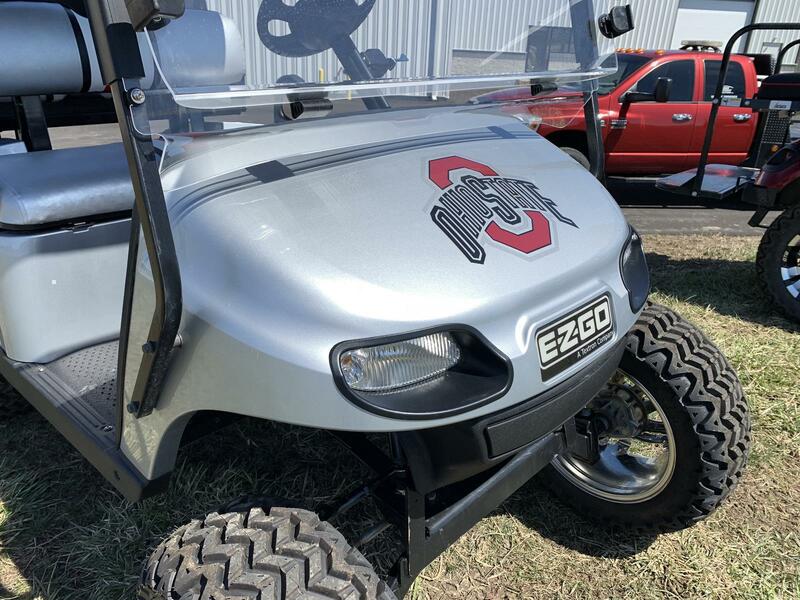 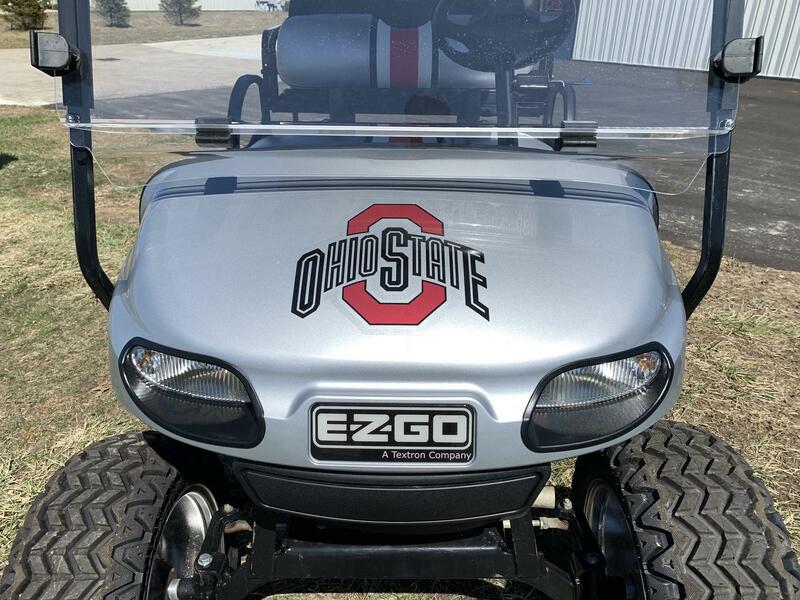 Color: Platinum (New OEM Refresh Body/Cowl) OSU Decals. 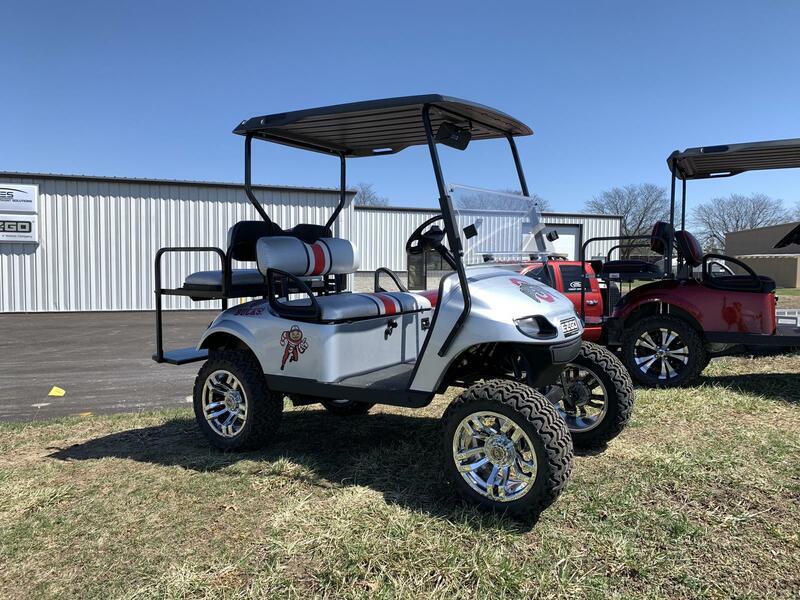 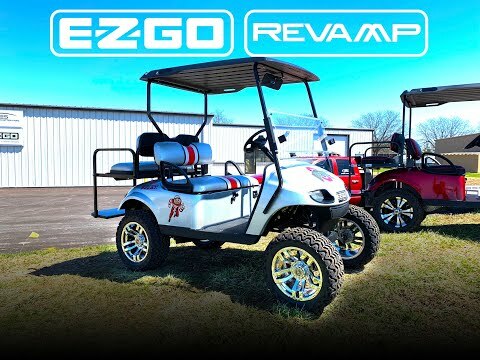 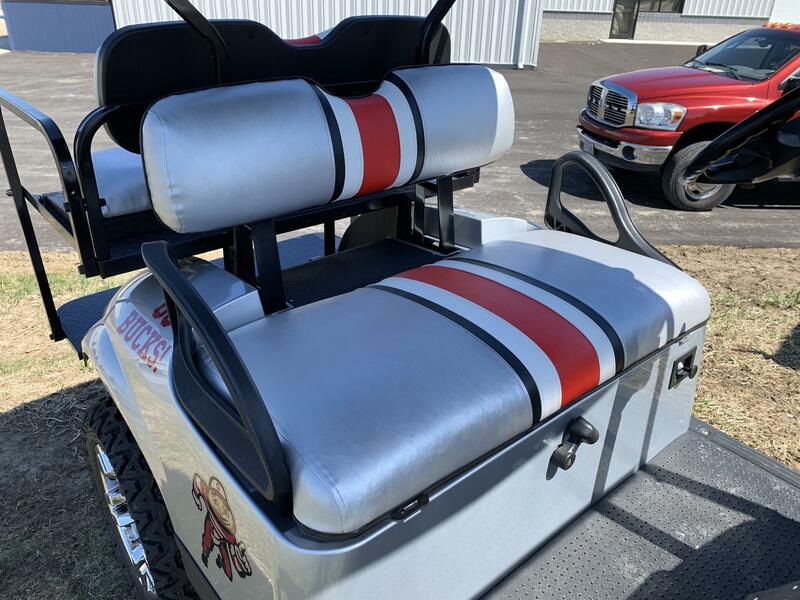 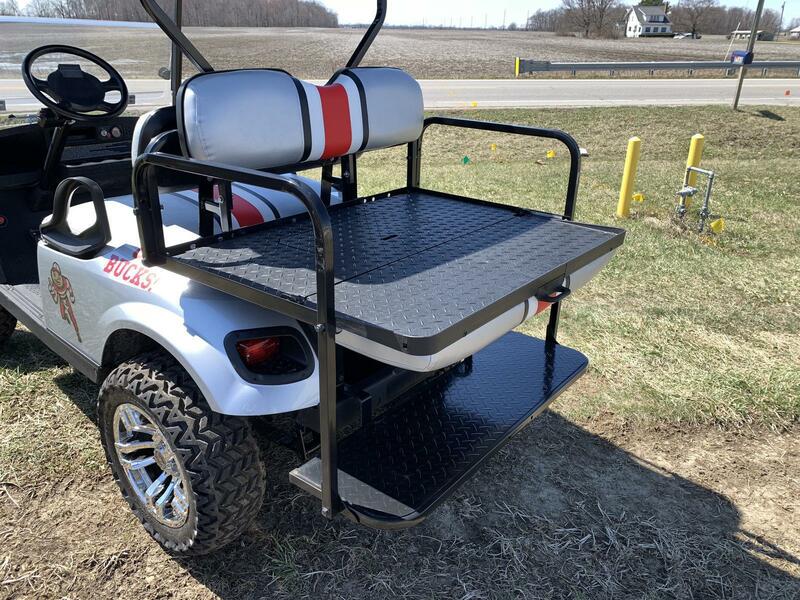 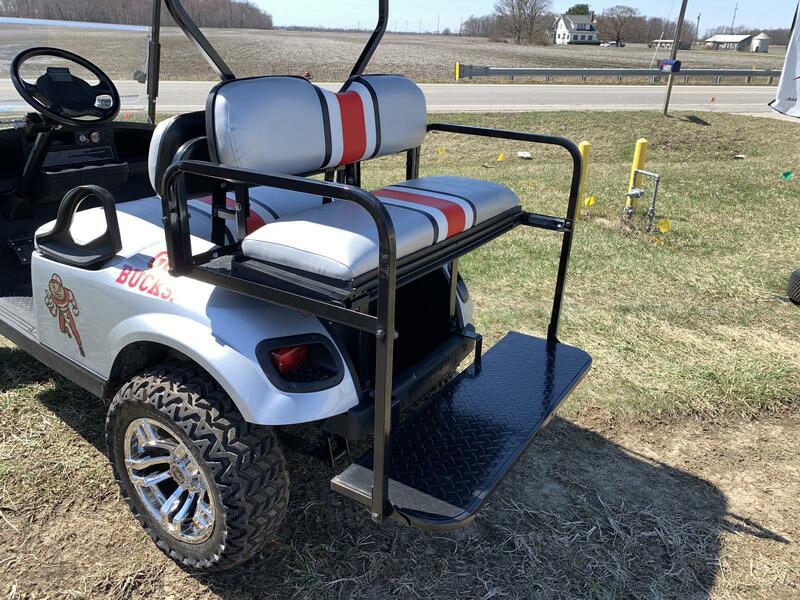 Factory E-Z-GO Street Ready Kit, Headlights, Taillights, Turn Signals, Brake Lights, Horn, Mirror, Windshield, License Plate Bracket and Light, Fuel Gauge/Oil Indicator Light, Hour Meter, Custom Helmet Stripe Seats, 4"/5" E-Z-GO Axle Lift Kit, Black Top, Rear Flip Seat, 14" Wheels, 23" Backlash X Tires, Inspected with Title.